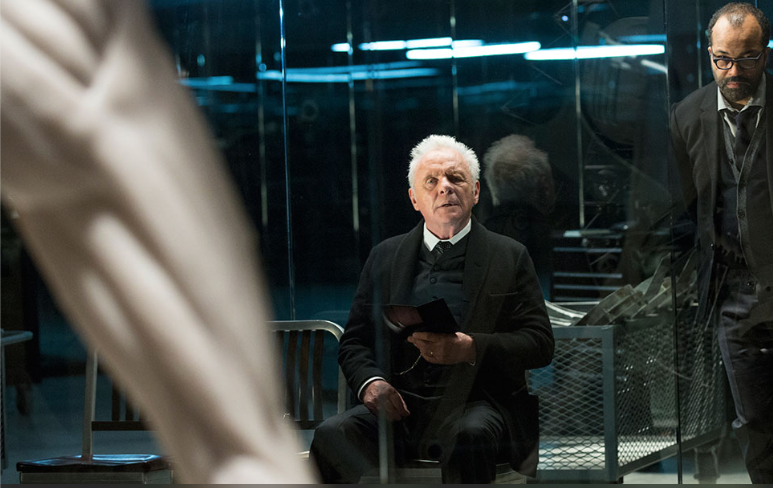 Professor Bruce Hood watches the HBO series Westworld. Westworld is a science fiction series about a theme park in the future which has perfected synthetic humans (‘hosts’) who provide the pleasure and excitement for biological humans (‘guests’). People pay to immerse themselves in the ultimate fantasy game set somewhere in a 19th century Western frontier with gunslingers, sheriffs, saloon girls and all the other trappings one would expect of the genre. The hosts are programmed in their roles with synthetic minds and memories that provide the narrative for the various scenarios that the park can provide. Hosts cannot harm guests, who abuse them in whatever way they wish, and each time the hosts are ‘killed’ they are sent back for repair and the memory files erased so that they can be returned to the park to play out their roles again and again. The hosts are unaware that they are synthetic but as the series unfolds, some of them begin to access trace memories and become increasing aware of what they really are. There is also another subplot that suggests that the hosts have been programmed to become self-aware. There are many reasons to love Westworld. It has a fine cast of actors, a cracking screenplay with a plot line that twists and turns without becoming too convoluted, and it is shot in some of the most gorgeous national parks in the US. That alone would make it outstanding, but for me, Westworld is such great production because it addresses fundamental questions about identity and what it is to be human. I wrote a book called ‘The Self Illusion’ where I argued that mind body dualism was false and that the state that we call the self is an elaborate constructed narrative generated by our brains to provide a convenient operating system that we experience as the mind and behaviour. This position has been attacked on a number of grounds, including that it fails to capture that we are more than our brains and bodies, it is too reductionist, it is inhuman and that it is logically incoherent as one needs a perceiver in order for there to be an illusion. What Westworld demonstrates for me is that all of these criticisms are wrong. The premise of the series is possible, if highly improbable. We are a long way from perfecting synthetic humans but we are material beings and unless one is a spiritualist, we must accept that materials can be synthesised and replaced. If we accept that a synthetic host cannot have a true self because it is constructed, then we are compelled to accept that a biological guest does not have one too. Either way, the self is not what it seems – it is an illusion. Yes, we lead complex, creative, emotional, social lives, but we are meat machines nonetheless. - Watch Westworld now. Bruce Hood is Professor of Developmental Psychology in Society at the University of Bristol. Find out more in our archive. Editor's note: See also Melissa Dahl's Science of Us piece.